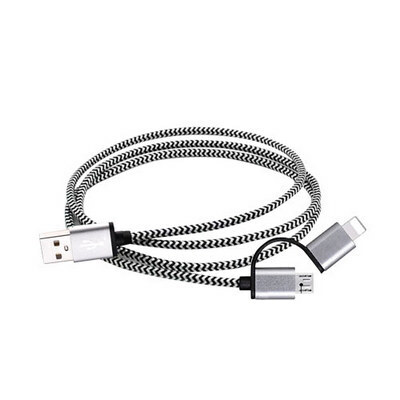 Premium braided cable. ; Handy multi adapter cable keeps all of your needs covered. ; Includes Micro USB and Lightning adapters. ; Option for data transfer function is available.